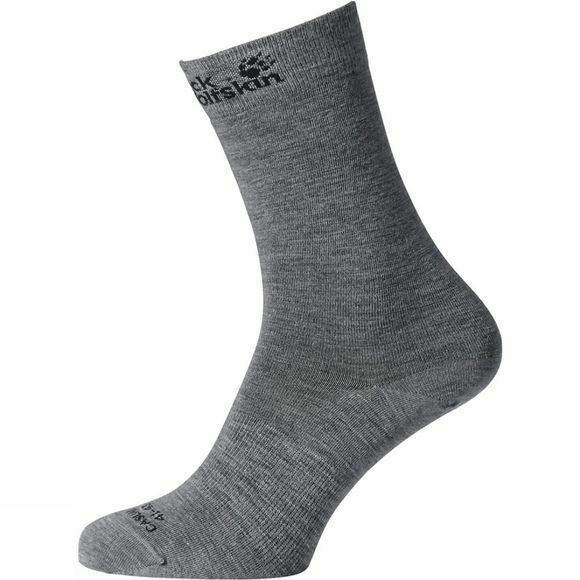 Natural and robust: The Merino Classic Sock is Jack Wolfskin's classic mid-high sock for active everyday use. A blend of Merino wool and synthetic fibres provides very good climate comfort. The Merino wool adds warmth, gives light cushioning, is breathable and inhibits unpleasant odours. The synthetic fibres ensure the sock retains its shape, making it hard wearing and preventing it from becoming saturated with moisture. If you spend a lot of time on the move, no other sock will come close.